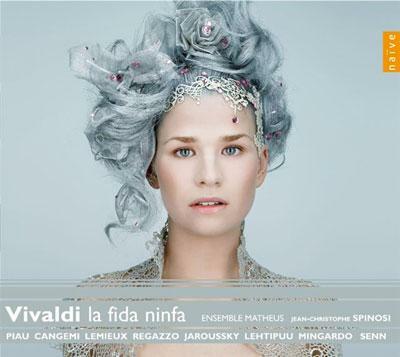 I don't think nearly enough praise has been lavished upon Naïve's exemplary Vivaldi Edition, now reaching its thirty-ninth volume with La fida ninfa. This extraordinary enterprise was set up in the year 2000 by the Italian musicologist Alberto Basso and the independent label Naïve, with the aim of recording the complete collection of Vivaldi manuscripts preserved in the Biblioteca Nazionale Universitaria in Turino by the year 2015. There are four hundred and fifty works in all, and the collection represents the entire private library of scores Vivaldi had in his home in 1741 when he died in Vienna. The scores were taken from Venice to Genoa to Piedmont, and were then acquired by the Turin library in 1930, where they are now preserved. Fifteen of Vivaldi's operas are included amongst the scores, and the Vivaldi Edition's inclusion of these pieces is partly what's so important. Although the composer is best known for The Four Seasons and other instrumental works, he spent the majority of his career working on and producing his operas, of which La fida ninfa is a mature example. Dating from January 1732, the opera was given its premiere in Verona, where it inaugurated the new theatre, the Nuovo Teatro Filarmonico. It is a setting of a text by Francesco Scipione Maffei, who was in charge of the opening celebrations for the theatre, and although it is described in the liner notes as offering the composer only ‘a modest basis of inspiration', he was engaged to write it at the last minute and worked very quickly on it. It's a pastoral piece, and in spite of the insipid nature of certain elements of the plot – it takes place on the island of Naxos, stronghold of the pirate Oralto, and describes the fate of two brothers who were kidnapped at birth – the level of musical inspiration is absolutely breathtaking. As one would expect from this composer, his response to the text is vivid and he always adds a layer of interest through imaginative word-painting. What's notable with this work, in comparison to some of the previous releases in the series, is the relatively extensive use of ensemble numbers. While the da capo aria remains Vivaldi's main tool of expression – with its repeated first section juxtaposed with a contrasting middle movement – in La fida ninfa he also employs a duet, a trio, a quartet and several choral numbers. Of these, the trio that ends the first act and the quartet that ends the second are equal to Handel's greatest achievements in the operatic genre. 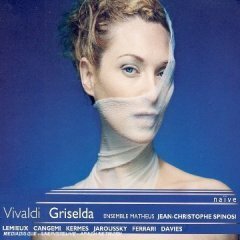 Vivaldi had a superb cast at his disposal, and Jean-Christophe Spinosi is similarly blessed with a consistent group of singers for this new recording, of whom Sandrine Piau as Licori is the finest. Her aria ‘Alma oppressa da sorte crudele' is particularly striking, while her contribution to the entire set is always noteworthy. Unsurprisingly, the luxury casting of Philippe Jaroussky in the role of Osmino also makes a huge impact, with his powerful and expressive tone standing out from the crowd. Verónica Cangemi's Morasto also has some fine moments, such as the second-act aria ‘Vanne, ingrate, e per vendetta', and Marie-Nicole Lemieux (Elpina), Topi Lehtipuu (Narete) and Sara Mingardo (Giunone) complete a firm line-up. Only Lorenzo Regazzo's Oralto sounds uneven at times, lacking the control of the other singers. But with the ferocious and incisive playing of Spinosi's period-instrument Ensemble Matheus, this is a highly commendable recording and a remarkable achievement in these cash-strapped times. 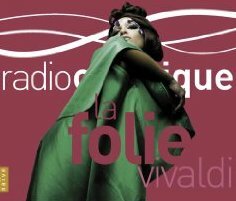 A few words are also due for La Folie Vivaldi!, Naïve's sampler of various recordings from the Edition so far. The two CDs have eighteen tracks apiece and present a generous range of some excellent performances. When I first turned on Summer from The Four Seasons, I was amazed by the earth-shattering intensity of Europa Galante's rendition under Fabio Galante, and the interest is sustained through items featuring the likes of Magdalena Kozena in Judith Triumphans, Philippe Jaroussky in Griselda and Sara Mingardo in L'Olimpiade. For anyone wanting to explore the Vivaldi Edition a little further without investing in too much at once, this will be perfect.